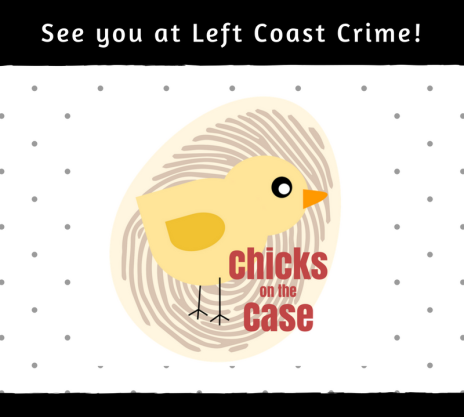 This week, some of the Chicks are attending Left Coast Crime. We’ll be appearing in the following panels, with book signings to follow. We are also looking forward to meeting those of you who signed up for our Author-Reader Connection. If you’re in Vancouver at the conference, please say hello! Readers, drop us a note in the comments below! What are you up to this weekend? Tags: Becky Clark, Cynthia Kuhn, Ellen Byron, Kellye Garrett, Left Coast Crime, Leslie Karst. Bookmark the permalink. Have a great time—wish I were there with you. Good luck, Cynthia. It is so great to see all the Chicks here at LCC. Thanks for all your wonderful books! Missing you guys — wish I could be there! Have a blast and please post and Tweets lots!! Ellen and I just rolled out of bed (we’re roomies), getting ready for our culinary mysteries panel at 9:00 am. Too bad you can’t hear our early-morning Lauren Bacall voices, lol. Hope you all have a fabulous time. Me? I’ve got the second week of ultimate Frisbee beach league and The Mousetrap on Saturday.